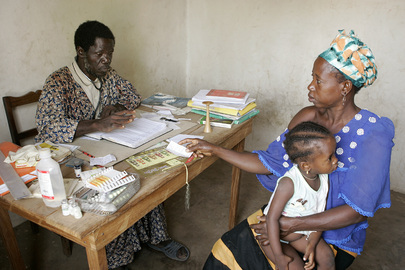 The Spring 2012 issue of Global Health Governance will focus on the future of universal health coverage (UHC). Building on the 2010 World Health Report and the 2011 World Health Assembly’s UHC resolution (WHA64.9), this themed issue will consider the intersection of governance with country and regional participation in and experiences with health financing reform and expansion of financial risk protection. More specifically, the issue will look at the governance of institutional design, organizational practice, and bottlenecks, as well as the experiences of changing governance for the improvement of health financing. The issue will focus on governance and health financing at the national, regional, and international levels including governments, regional bodies like the Association of Southeast Asian Nations (ASEAN), South Asian Association for Regional Cooperation (SAARC) a the East African Community (EAC), and international institutions like the World Bank or the World Health Organization. This issue will also examine the role of international development partners in accelerating or retarding national movements toward universal health coverage, in particular the governance of country schemes. Research, reviews, opinion, and commentary submissions are welcome from a wide variety of disciplinary backgrounds including public health, social science, political science and international relations, international law, philosophy, anthropology, business, economics, civil society organizations, and government. Authors intending to submit a manuscript should submit a proposed title, author names, and an abstract of no more than 250 words by January 6, 2012. The guest editors for this special issue are Mushtaque Chowdhury and Robert Marten from the Rockefeller Foundation, and Walaiporn Patcharanarumol, Ministry of Public Health in Thailand/secondment at WHO Cluster Health Systems and Services/Department of Health Systems Financing, and Suwit Wibulpolprasert, the Ministry of Public Health in Thailand.